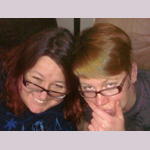 Lounging with LannaLee is a new weekly audio podcast that’s a face-to-face, half-hour conversation between LannaLee and a fascinating person. Guests will be passionate musicians, activists, geeks, nerds, actors, writers, artists, and business professionals. Launches in March, 2012. Guerrilla Social Commentary from two feisty Maine women since 2010. Lanna and Lex meet at a Tweetup in Portland, ME; they find they have common interests. And lo! A podcast is born! Join them as they discuss social media, hot trends on the interwebs, presentation, art, feminism, gender and balloon animals. Their Mission, to Subvert Gender Stereotypes! 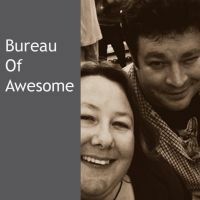 In the Bureau Of Awesome, Edmund and Lanna talk about politics, books, movies, games and the internets. Bi-Weekly since 2011.